One of the popular choices for customers who are looking for something that is of very high quality with very strict quality control processes. REC are manufactured in Singapore while ABB are manufactured in Italy. Boasting a glowing reputation REC are the leading choice for a lot of customers. 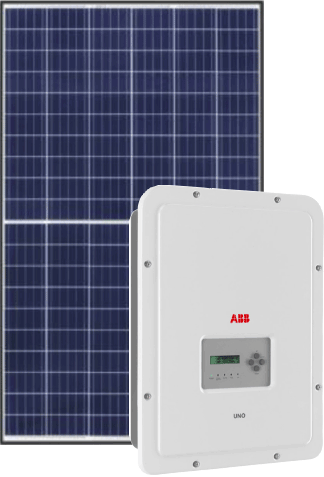 Their new Twin Peak Design panels allow more production in shaded conditions and offer high wattage panels for the same dimension as standard panels which means those who have issues with roof space can still have a substantial system on their roof. REC have a 25 year performance guarantee, 10 year manufacturer’s warranty. ABB are one of the few manufacturers that are still manufactured in Europe. They boast a full 10-year workmanship warranty on their UNO DM products. Built in Wifi as standard. We tailor each pack to suit your needs. Talk to our team today about finding the right system for your home.